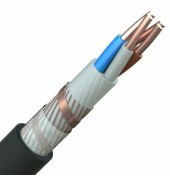 The cables are designed for fixed installation inside, outside and in cable ducts. This range is an ideal solution for application where there is a need to reduce EMI and limit interference between adjacent cable and equipment. The outer screen can be used as a concentric neutral conductor or protective earth. 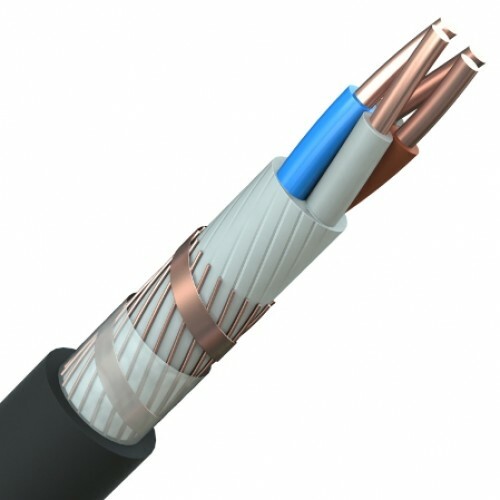 Plain copper conductors to IEC 60228, PVC insulation, bedding material, uniform round copper wires wrapped in a helical copper tape, PVC sheath (black). NYCWY is available from 10mm2 the copper screen is applied in a sinusoidal waveform to allow for easier jointing of conductors without cutting the outer screen.